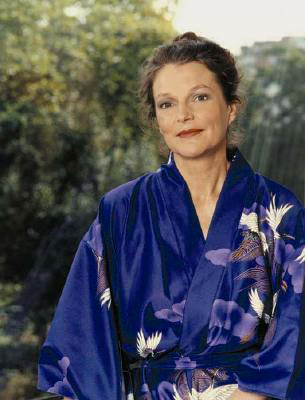 Among the discs she used as therapy was a performance of Bach cantatas about mortality by her beloved colleague Lorraine Hunt Lieberson, who was killed in 2006 by the same cancer that Upshaw has fought off. 'That is the most touching performance of anything ever! It's about fear and anguish, but the way Lorraine sings made it soothing. It was a blessing.' She illustrated her esteem for Hunt Lieberson by putting down her chopsticks, making a bowl of her hands and lifting them into the air. OC would just like to repeat one more time how much she loves la signora Dawn Upshaw, mystical Unitarian, corageous survivor, proud disciple of the Upshaw Family Singers, polite endurer of dense journalists, soprano assoluto of magical wonders. And she scrubs floors, too. Exactly one year ago, on July 3, 2006, we learned from the Internet, that famously unreliable news source (after all, we wouldn't be a part of it if it were otherwise), the frankly unbelievable news of Lorraine Hunt Lieberson's death, at the scandalously young age of 52. What in fact happened, of course, is simply that the spaceship that had left her here with the precise assignment to show everybody on this silly planet what singing is really, really about, well, that spaceship came back -- Hunt Lieberson left this irredeemably vulgar planet from Santa Fe, by the way, and how close to Roswell is that, come on, it's just so evident -- and took her away, to where she had come from. Because celestial beings can only inhabit a place as mean and disorganized as this world only for a short little while -- just like Mozart, Dinu Lipatti, Jimi Hendrix, those other envoys coming from the same place of pure music and beauty as LHL came from, right? This is not to say that the sadness is diminished by this fact -- to the contrary, we can only imagine the crushing sorrow that her absence has created in her splendid husband's life, and in everybody who had the monstruous luck to get to know her -- Stelle barbare, stelle spietate / Perché mai tanto rigor?, for reals. 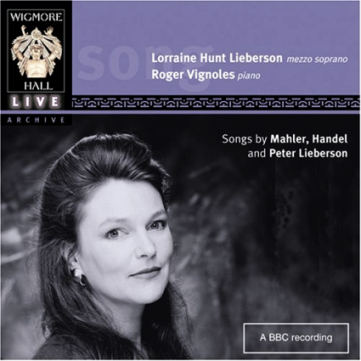 And there's huge sadness for Opera Chic, too, who has always considered Lorraine Hunt Lieberson not just the greatest mezzo to ever appear on this planet but also her cool, cool incredibly smart and funny New Age aunt, even if OC never had the honor to meet LHL in person. The digital coolness of CD sound will never have the magic of her voice -- digital music is after all just a very long sequence of numbers, and there's nothing mathematical about that otherworldly sound, no way. But it's all we're left with, and we're priviliged enough because it's a lot. Just don't believe she's dead -- she's about as dead as Mozart, who was here blasting La Clemenza in Opera Chic's house just a few minutes ago (and he ate all our chocolate, too). She's unable to take any more roles, yes. But dead? Don't be silly. Ciao, Lorraine: Per te sempre il cor sarà. It is difficult to get through this recital, taped live at the Wigmore Hall in 1998, without a lump in your throat. 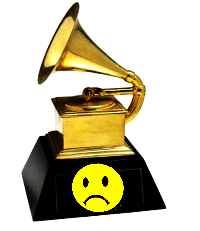 Producer of the Year, Classical: Elaine Martone. Classical Album: "Mahler: Symphony No. 7," Michael Tilson Thomas, conductor, Andreas Neubronner, producer (San Francisco Symphony). Orchestral Performance: "Mahler: Symphony No. 7," Michael Tilson Thomas, conductor (San Francisco Symphony). Opera Recording: "Golijov: Ainadamar: Fountain of Tears," Robert Spano, conductor, Kelley O'Connor and Dawn Upshaw; Valerie Gross and Sid McLauchlan, producers (Women of the Atlanta Symphony Orchestra Chorus, Atlanta Symphony Orchestra). Choral Performance: "Part: Da Pacem," Paul Hillier, conductor (Estonian Philharmonic Chamber Choir). Instrumental Soloist(s) Performance (with Orchestra): "Messiaen: Oiseaux Exotiques (Exotic Birds)," John McLaughlin Williams, conductor; Angelin Chang (Cleveland Chamber Symphony). Instrumental Soloist Performance (without Orchestra): "Chopin: Nocturnes," Maurizio Pollini. Chamber Music Performance: "Intimate Voices," Emerson String Quartet. Small Ensemble Performance: "Padilla: Sun of Justice," Peter Rutenberg, conductor (Los Angeles Chamber Singers' Cappella). 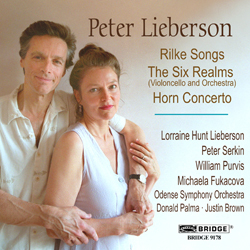 Classical Vocal Performance: "Rilke Songs," Lorraine Hunt Lieberson (Peter Serkin), track from Lieberson: Rilke Songs, The Six Realms, Horn Concerto. Classical Contemporary Composition: "Golijov: Ainadamar: Fountain of Tears," Osvaldo Golijov (Robert Spano). Classical Crossover Album: "Simple Gifts," Bryn Terfel (London Voices; London Symphony Orchestra). (Lorraine Hunt Lieberson) helped me get decked out for my prom that year too, with a purple bow tie and matching cummerbund on a white tux. For years, I had a disembodied plastic arm lurking in the back seat of my car; that was a gift when I got home from college one year, almost giving me a heart attack when I saw it sticking out of an old jacket. And Lorraine turned me on to the genius of the Simpsons; I’ve never heard a better Homer impersonation. 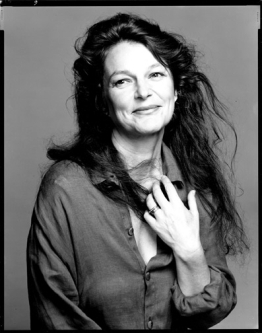 Lorraine Hunt Lieberson portrait by Richard Avedon for the New Yorker.